Here's a link to an interesting blog post about how we try to make level advancement and racial choices extremely meaningful in the ADOM RPG. 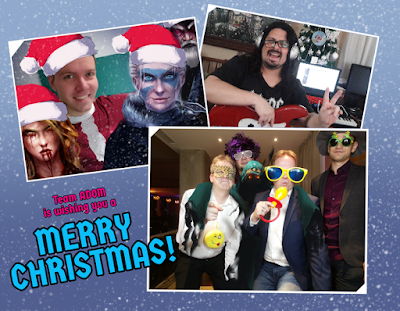 Team ADOM sends our kindest Christmas greetings to everyone out there (wether you are celebrating Christmas, something else or nothing at all): Enjoy love, peace and happiness and play your part in bringing more of these qualities into the world! 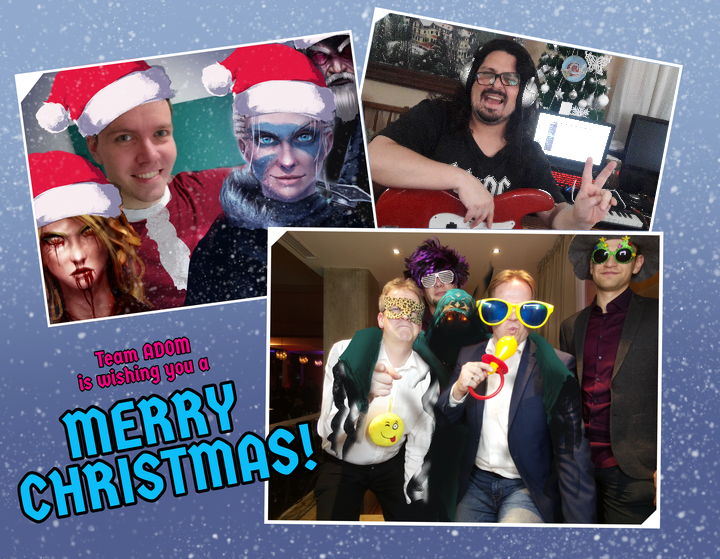 Have a great time with your beloved ones, remember those that can't be with us anymore and live your life to the fullest! Will the ADOM RPG just be yet another D&D clone? Read the answers to this import question here. 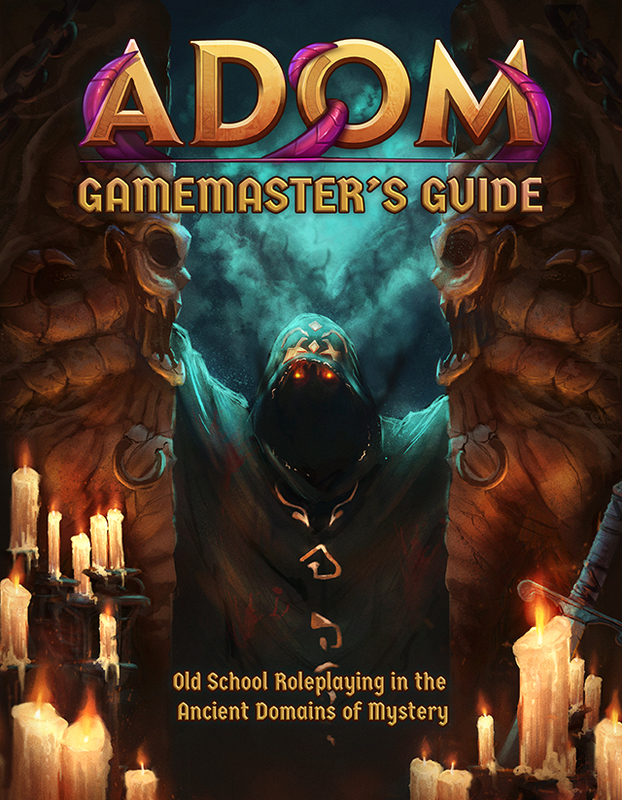 It's shortly before Christmas and sometimes wishes are fulfilled earlier than expected: We are going to release the ADOM Roleplaying Game starting next year. To my own surprise the most requested "ADOM feature" in a long while has been access to the ADOM (Lite) RPG. 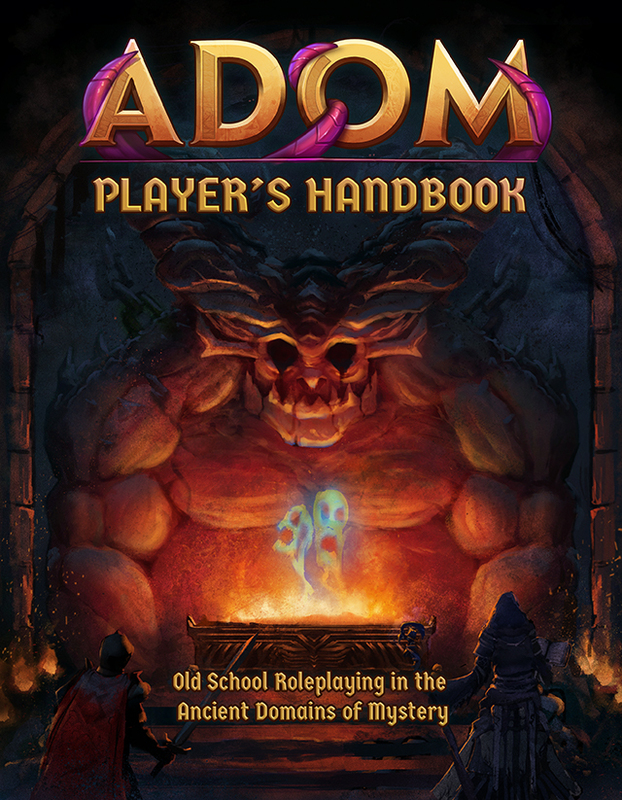 The ADOM Lite RPG is a pen & paper version allowing you to relive the adventures of ADOM in a classical pen & paper experience. 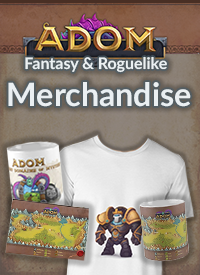 It was initially created during the "Resurrect ADOM" crowdfunding campaign as a highly limited edition never to be reprinted after the campaign. A promise we kept. Which caused a lot of grief to many people who missed the campaign and would love to play the pen & paper game. We are keeping the original promise - but now are going to release a new pen & paper roleplaying game based on the Open Game License (OGL). 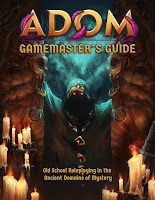 Rewritten and redesigned from scratch, the OGL ensures ADOM RPG's compatibility with a plethora of old school renaissance (OSR) games out there. At the same time we improve upon the standards of most OSR games by wrapping the rules in a beautifully laid out set of two rulebooks with immensely readable typography and tons of amazing artwork. 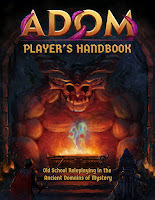 The ADOM RPG will be kickstarted in January 2019 (yes, we are going to do two Kickstarters, the first one for the pen & paper ADOM RPG, the second one a little later for Ultimate ADOM: Caverns of Chaos). layout). The roleplaying game will be published as two manuals - the Player's Handbook (PHB) and the Gamemaster's Guide (GMG). Both will be available in full color printings and bound in hardcover. We probably also will make available budget B/W softcover versions. 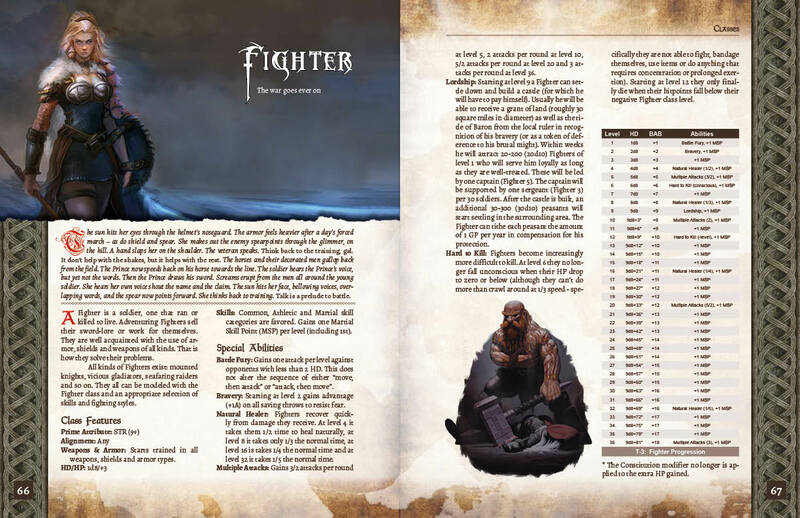 The Kickstarter (which will start in January 2019) will offer the cheapest access possible to both manuals (print at cost basically). Stretch goals hopefully will add a lot more content (and might yield adventure modules and more). See the samples section of our new website (and the single image below) for impressions on how the ADOM RPG is going to look like. Thanks for listening - we are looking forward to your feedback! Celebrating the 100th ADOM release ever! We are proud to announce the release of ADOM 3.3.2 as a general release on Steam and GOG (currently we have a 10% sale on GOG)! 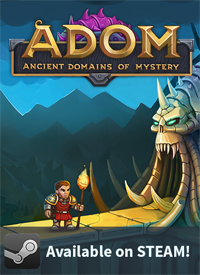 This release marks a numerical milestone - it is the 100th release of ADOM since its inception. ADOM 3.3.2 is a bugfix release increasing stability and providing a number of bug fixes to annoying bugs. You can find the changelog in the usual location. 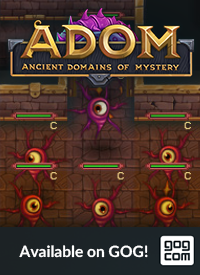 We soon hope to release ADOM 3.3.2 as a general public release on IndieDB, too. 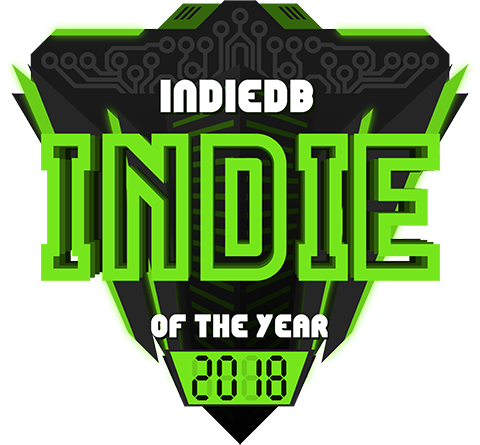 In the meantime you can vote for ADOM on IndieDB - ADOM has entered the top 100 of the games at IndieDB and we'd love to win in the roguelike category - so please vote for us! 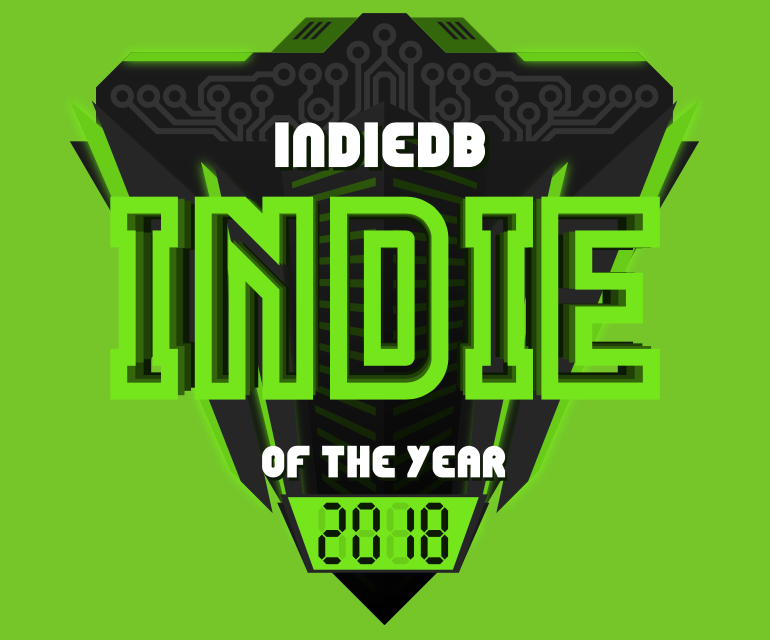 It's this special time of the year... were you can vote for your favorite game on IndieDB! We'd love you to vote for ADOM in order to help it endure and thrive. So if you enjoy ADOM and want to see more of it, it would be great if you could cast your ballot in our favor! Click here and cast your vote!